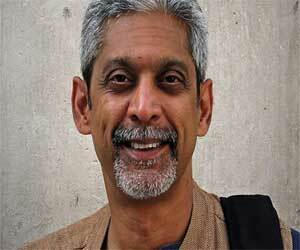 New Delhi: The Gairdner Foundation recently announced the 2019 Canada Gairdner Award laureates, recognising Boston-based Vikram Patel for his research career raising the global profile of mental health problems. Patel has been awarded the 2019, John Dirks, Canada Gairdner Global Health Award for his world-leading research in global mental health, generating knowledge on the burden and determinants of mental health problems in low-and-middle-income countries and pioneering approaches for the prevention and treatment of mental health in low-resource settings. Patel’s research has challenged many of the myths surrounding mental health problems in the global context, demonstrating that these problems are universal forms of human suffering. There is a vicious cycle of deprivation and poor mental health; that mental health problems profoundly affect the physical health and well-being of affected persons; that psychosocial interventions can be effectively delivered by widely available and affordable community-based providers; and that the human rights of people with mental health problems to access quality care and to a life with dignity are global concerns. Congratulations. Giving people with mental health issues a chance to contribute positively to the benefit of society is probably the best way to move forward.